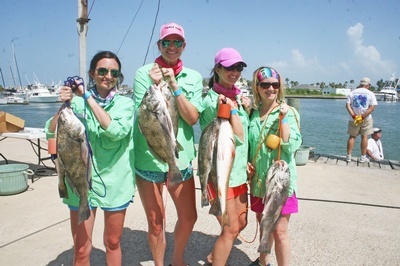 This popular women only fishing tournament is sponsored by Woody's Sports Center. Pre-registration is Friday, June 16 from 5-7 p.m. Captain's meeting begins at 7 p.m. Fishing begins Saturday, June 17 at 6:30 a.m. Late registration is Saturday until 6:30 a.m. at Woody's. Weigh in your fish by 3 p.m. at the Dennis Dryer Municipal Harbor at Robert's Point Park Pavilion.